Emancipation & Liberation » MI5 – THEY HAVEN’T GONE AWAY YOU KNOW! MI5 – THEY HAVEN’T GONE AWAY YOU KNOW! Below we publish two recent articles from the Irish republican socialist organisation, eirigi, which deal with the continued activities of MI5 in the ‘Six Counties’. The Conway Mill on Belfast’s Fall Road was the setting for a very well-attended public meeting on Thursday [November 8] at which éirígí launched its latest ‘Know Your Rights’ leaflet. As concern grows in communities across the Six Counties about the increasing activities of Britain’s MI5, the party has produced a four-page information and advice leaflet setting out the steps people should take if they find themselves approached by the secretive spying organisation. The meeting, chaired by Belfast éirígí activist Máire Drumm, began with a fifteen minute video presentation detailing some of MI5’s methods of operation. She then introduced the first of two speakers at the meeting, éirígí’s rúnaí ginearálta, Breandán Mac Cionnaith. Mac Cionnaith explained that the party had seen an upsurge in people coming forward to report approaches made to them by MI5, approaches which often occurring with the co-operation of the Six County police force. Mac Cionnaith then dissected each of those claims. He pointed out that MI5 does not have powers of arrest; does not have powers to question people; does not have powers to search or seize property and is fully dependent upon the PSNI to carry out those operations, arrests, searches and interrogations. Constitutional nationalists, he said, put great emphasis on a statement made by the then British prime minister, Tony Blair, in 2007. Blair stated that only PSNI personnel attached to PSNI Headquarters Staff would act in a “in a liaison capacity” with MI5. Constitutional nationalists seized upon that statement to fool their members and supporters into believing that only a handful of PSNI personnel would be working with MI5. Those politicians, he said, failed to admit that many sections and departments of the PSNI fall under that overarching description of “Headquarters Staff” and that, at any one time, up to 1,200 of the PSNI personnel attached to Headquarters staff could be acting in a so-called ‘liaison capacity’ directly with MI5. Mac Cionnaith also said that so-called annual oversight and reporting mechanisms on MI5’s role have been shown to be completely meaningless and worthless. He observed that the appointment of a British peer, Lord Carlile, a supporter both of non-jury courts and the prolonged detention without trial for suspects, to a role in annually reviewing MI5 in the North, was bizarrely hailed as “progress” by constitutional nationalists at Stormont. He also noted that that Carlile’s annual review of MI5 in the Six Counties is supposed to take place in consultation with the First and deputy First Ministers at Stormont – thereby directly implicating the north’s largest constitutional nationalist party into providing a fig-leaf for MI5’s activities in the Six Counties. Constitutional nationalist parties, said Mac Cionnaith, had created a smokescreen of propaganda to mislead their community into believing that those parties had achieved major progress on ending the era of political policing which has existed for as long as the Six County state itself. He bluntly described that as “a deceit”. Referring to the recent controversy regarding the re-hiring of ex-RUC personnel as ‘agency staff’ by the PSNI, Mac Cionnaith stated, “It is also noticeable that no mention is ever made of exactly how many ex-RUC personnel are employed by MI5. Máire Drumm then introduced the second speaker, Pádraigín Drinan, the well-known Belfast-based solicitor who, for forty five years, has been to the forefront in campaigns to defend against the erosion of human rights and civil liberties in the Six Counties. From her participation in the Civil Rights movement in the late 1960s, Drinan was involved in representing many of those interned without trial by the British state during the 1970s, and over the course of many years has represented families who lost relatives at the hands of British state death squads. She has also represented many people who have been subjected to harassment and abuse by state forces and recently mounted a legal challenge against stop and search tactics used by the PSNI. Ms Drinan said that, as a solicitor, she welcomed éirígí’s initiative in publishing the ‘know your rights’ leaflets. She described the latest publication on MI5 as “a necessity for many people” and added “that after all these years of repressive legislation it was remarkable how few people are actually aware of what their rights”. Ms Drinan continued, “Anyone approached by MI5 personnel, should contact a solicitor and let the solicitor act on their behalf. 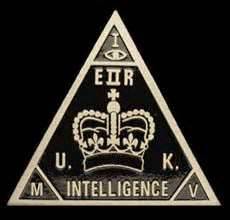 The goal of MI5 is to gather intelligence on a person’s neighbours, friends and even on members of that person’s family. They will try their hardest to extract any information, no matter how innocuous that may appear, from those whom they approach with each meeting. “Anything they may offer, in terms of monetary incentives/jobs, is solely for their own benefit and not for the benefit of the person approached – and it is worth remembering that. “No-one approached by MI5 should give away any personal details about themselves or anyone else, however harmless that information might seem. She stressed the importance for everyone to report all approaches made by MI5 in order to protect their rights and civil liberties. Several hundred copies of the new leaflet were readily snapped up by those attending the public meeting. The socialist republican party éirígí has slammed the arrest and detention of one of their members in Newry. The party’s general secretary, Breandán Mac Cionnaith, described the arrest which took place yesterday (Monday) as yet further evidence of political policing by the PSNI. 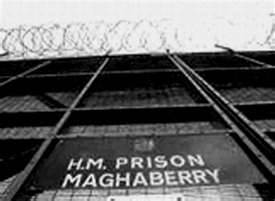 Mac Cionnaith said, “In September last year, Stephen Murney was arrested by the PSNI during a series of raids on homes in the Derrybeg area of Newry. At the time, Stephen had been present during the raids to provide solidarity and advice to those affected by the raids. PSNI members took exception to that and arrested him, also assaulting Stephen in front of many witnesses. He was later spuriously charged with assaulting those who had assaulted him. “In April of this year, although Stephen contested the charges against him, a court accepted the extremely flimsy prosecution evidence even though PSNI members had clearly contradicted each other throughout the hearing. The court fined Stephen £600. “Stephen made it clear at that time that he would not be paying the fine as he viewed the court’s decision as wrong and unjust. Mac Cionnaith continued, “Stephen’s arrest and imprisonment is nothing less than a clear attempt to deter him from pursuing legitimate political activities.